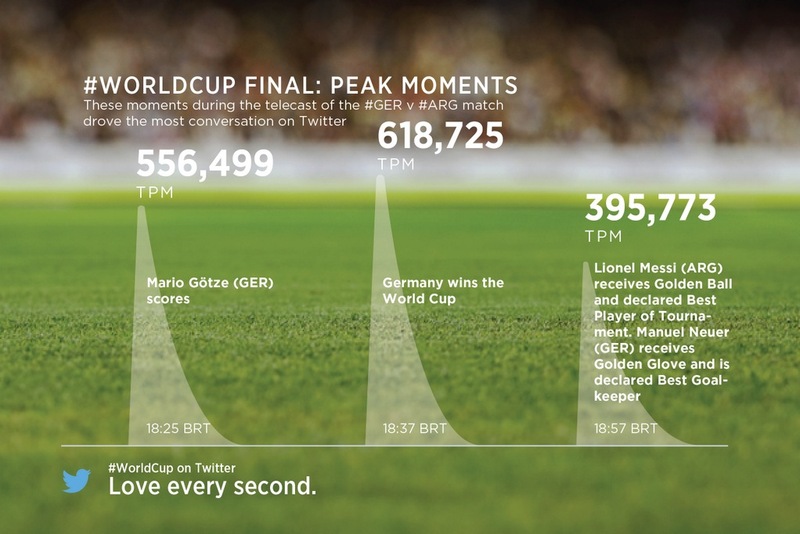 The World Cup in Brazil became the world most tweeted about event. Germany’s 7-1 victory over Brazil in the World Cup semi-finals was the most discussed sports game on Twitter in history. 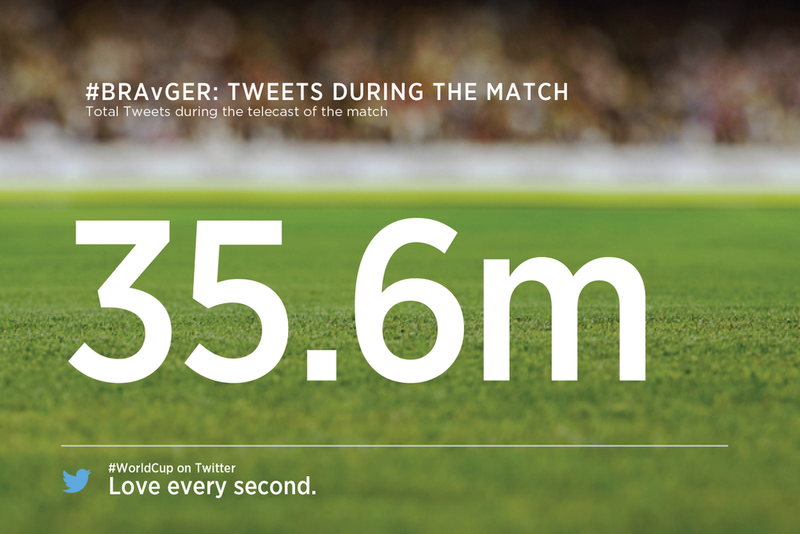 A record 35.6 million tweets being sent during the 90-minute game. The World Cup Final between Germany and Argentina, which itself generated 32.1 million tweets, set a new tweets-per-minute record when the final whistle went and Germany was crowned champion. This triggered 618,725 tweets in one minute. Not surprisingly the most tweeted German player in the final was goal scorer Mario Gotze, while for Argentina it was Lionel Messi. This entry was posted in Brazil, World Cup 2014 and tagged 2014, Argentina, Brazil, Germany, Twitter, World Cup by Critical Divide. Bookmark the permalink.